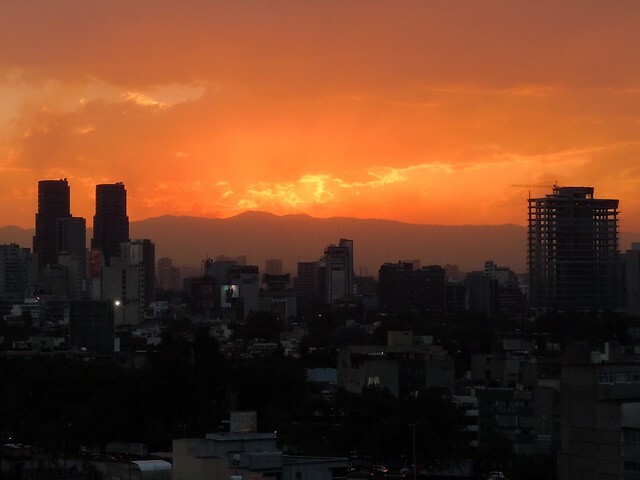 Mexico City is a terrific place to spend a few days and offers a different view of the country in addition to the popular beach resorts and Mayan ruin sites. 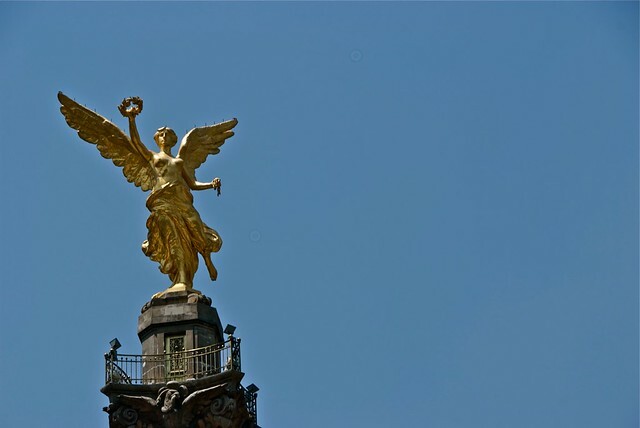 With plenty of free things to do in Mexico City, a stay need not break the bank either. It is easy to get around, with a cheap and efficient metro system, and there are loads of places to eat, drink, sleep, and shop. A proper cultural gem of a city, did you know that Mexico City has the most museums in the whole world? With something for everyone, don’t skip the capital of Mexico when visiting this brilliant country. The city symbol, you can climb up 12 levels for great views from the top. It costs nothing to go inside and look at the memorials and the vistas from up high. It is also a nice monument to admire from outside. Remembering the Mexican War of Independence, locals are really quite proud of this lovely monument. 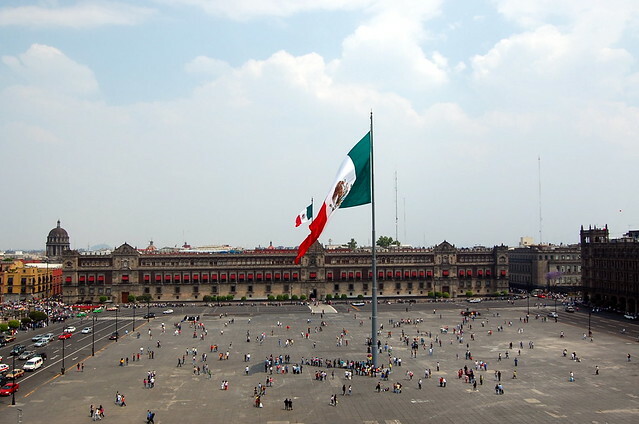 The Plaza de la Constitucion, also known more informally as the Zocalo, is one of the biggest public squares in the whole world. It is a bustling hive of activity that has been a central part of the city for hundreds of years. It is the heart of cultural political and social activities and you can see people from all walks of life, including sales people, musicians, school children, commuters, travellers, and others. There is a flag ceremony every day and you can watch the palace guards perform their rituals. Interesting and important buildings line the edges. These include the National Palace, the National Cathedral, some historic ruins, and a number of government buildings. It is a great place to simply pause and watch the world go by. Here you can see another side of the city. It is an affluent part of Mexico City and walking around you will see a number of modern buildings, good quality restaurants, and high end shops. Polanco is also home to the Soumaya Museum. Within the museum you can spend hours admiring beautiful artwork; there are pieces from different ages and genres. The outside of the building is pretty interesting too – it looks somewhat like a mushroom! 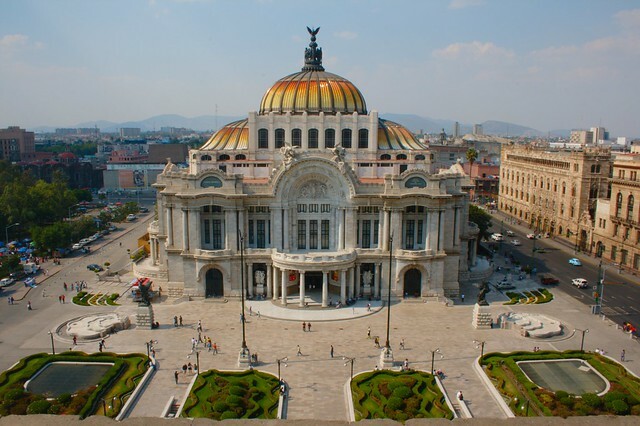 Another great spot for admiring gorgeous artwork is the stunning Palacio de Bellas Artes. It is an important place for local culture and a variety of performances are often held here. The museum offers great information into the city’s architecture as well as the different art displays and exhibits. A lovely neighbourhood that was once a separate village, Coyoacan boasts delightful cobbled streets, shaded squares, and quaint and colourful homes from the days of colonial rule. There are plenty of nice shops to poke around in as well as numerous small art galleries. Other free things to do in Mexico City include browsing in the lively markets, checking out more museums on the days when they offer free admission, chilling out in the large and green Chapultepec Park, and seeing an array of animals in the park’s zoo. I agree when it comes to Palacio de Bellas artes (one of the few places I got to visit during a short visit to Mexico) The place is gorgeous.